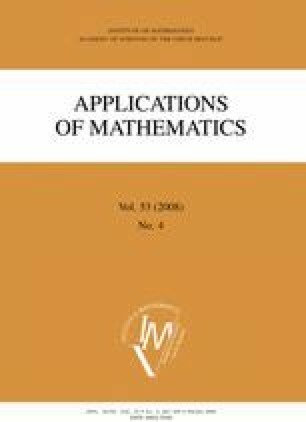 A nonstandard approach to change point estimation is presented in this paper. Three models with random coefficients and Bayesian approach are used for modelling the year average temperatures measured in Prague Klementinum. The posterior distribution of the change point and other parameters are estimated from the random samples generated by the combination of the Metropolis-Hastings algorithm and the Gibbs sampler. The work is a part of the research project MSM 0021620839 financed by MŠMT. It was partially supported by grant GAČR 201/06/0186 (for the first author) and grant GAUK 135007-B (for the second author).